The Narooma Lions and Merimbula Diggers have been the two form teams of the senior grade in 2018 and this is set to be a big one this weekend in Narooma. After falling in the grand final last year to Pambula, the Narooma Lions premiership drought extended to 32 years although this year appears to be the year that Narooma can snap that streak. The Lions have been the form side in 2018 with a dominant forward line able to kick over 100 points week in week out. Anything but a premiership will be a failure for the Lions this season. After finishing 5th in 2017, the Merimbula Diggers have enjoyed a bounce back season where the team has relied on several fancied juniors coming through the ranks to complement players that played in the Diggers last grand final appearance in 2016. Merimbula are the only team to have beaten Narooma in 2018 and will look to do so again this weekend. Player to Watch: Simon Mackie, After being kept relatively quiet in the 2017 grand final, Mackie will be looking to have a big day out this weekend as he looks to break a 32 year drought. Prediction: Narooma by 22 Points. In the reserve grade it will be 2nd versus 3rd as Pambula go head to head with Tathra this weekend. Both sides have been evenly matched in 2018 and will believe they are in with a shot of claiming the premiership this weekend. The Pambula side is a mix of young and more experienced bodies and the Panthers will be looking to replicate their major semi-final form where they won a thriller against the Diggers. The Sea Eagles have been comfortable winners in their two finals to date and will look to show the class this weekend that sees them return to the grand final in the reserves since their grand Final win in 2016. This one could go either way. Player to Watch: David Little, Little is the leagues newest life member and has plenty of experience in the big dance over recent seasons. Prediction: Tathra by 2 Points. The women’s grade Grand Final will once again see the Eden Whalers and Tathra Sea Eagles go head to head for a third straight season. In past years these two clubs have produced some thrilling grand finals and this one is set to be no different. The Eden Whalers head into this weekend’s contest as favorites for the first time in three seasons after claiming the last two premierships as underdogs. 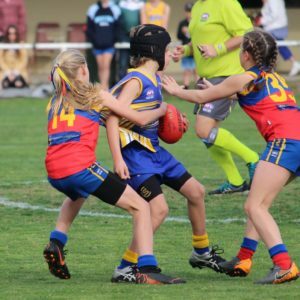 Eden were dominant against Pambula in the major semi-final two weeks ago and will feel confident of playing their best football this weekend in Narooma. The Whalers continue to improve with Carra Sheldon and Tammy Whitford leading the team whilst youngsters Alexis Watson, Shanise Mongta, Anna Crawford and Chloe Henderson are getting better each week. In 2018 Tathra have had to do it the hard way after falling to 3rd as they have beaten Narooma convincingly in week one of the finals before claiming a tight contest in the preliminary final against a resilient Pambula side. Cymmon Parker has been ever present for the Sea Eagles whilst getting great support Brea Williams and Tyra-Lee Palmer. Will the Sea Eagles be able to break their grand final hoodoo? Players to Watch: Kamilla Grubesic, The Eden forward is a dangerous presence up forward for the Whalers and if she can kick 3+ goals this weekend, Eden should get the win. Prediction: Eden by 18 Points. 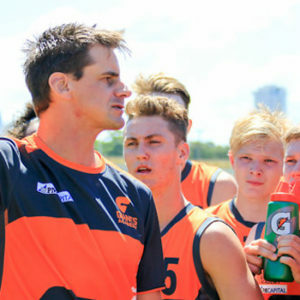 The under 16’s competition has been one of the most even competitions in recent memory with 5 of the 6 teams in finals contention going into round 16. 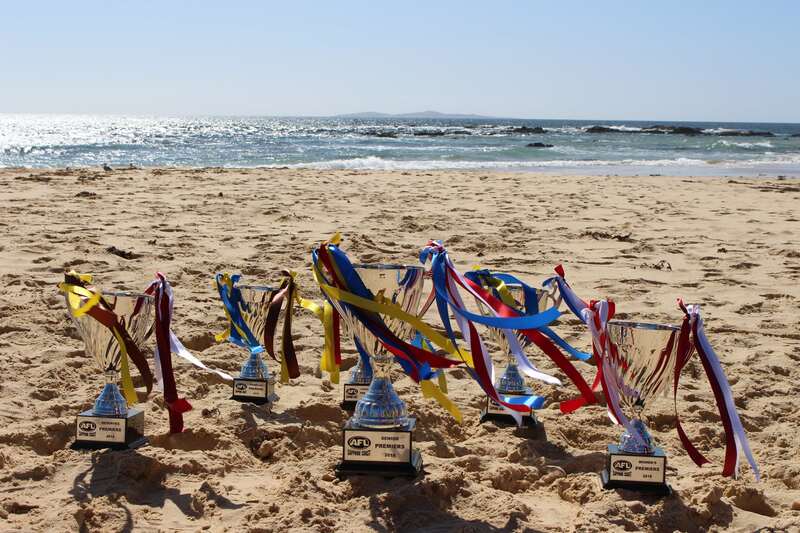 The Grand Final will see second placed Bermagui taking on fourth placed Merimbula FC who will be looking to make it three straight premierships in the age division. The Breakers were convincing winners in their major semi-final two weeks ago against the Narooma Lions and the team will be looking to put on another dominant performance this weekend. It is a remarkable turnaround from Bermagui who 12 months ago finished last with no wins for the season. Merimbula come into the match in good form having knocked off Tathra and minor premiers Narooma on their way to a third straight grand final appearance. After just scraping into the finals in 2018 it would be a remarkable achievement if the team can make it three straight flags. Look for Caleb Higgins and Jedd Martyn to make an impact for the Diggers this weekend. Player to Watch: Rocco Lagana, Lagana claimed the under 16’s best and fairest in 2018 and will be looking to add more silverware this weekend. Prediction: Bermagui by 10 Points. Like in the under 12’s grade we have a rematch of last year’s final in the under 14’s final with Bermagui set to take on Pambula. The 2017 final was one of the biggest upsets on the day with Pambula knocking off the more fancied Bermagui side. Can the Panthers do the same again in 2018 and claim back to back flags by beating the minor premiers? Pambula will need to take their chances this weekend and ensure that William Seach has a big game. Bermagui will head into this match as deserved favourites after claiming the minor premiership and dropping just the one game in 2018. Two weeks ago, it was Bermagui who claimed the win in the major semi-final after a fast start and the team will be looking to do so again this weekend. Look for the Bermagui small forwards to try and run amok this weekend. Pambula were back to their best last weekend in the preliminary final against Merimbula and will be keen to replicate their 2017 grand final day in claiming back to back premierships. Player to Watch: Jonathan Harkins-McMahon, The Bermagui captain is the leader of the team and plays with passion and heart every week. Look for a big performance this weekend. Prediction: Bermagui by 18 Points. The 2018 grand final is set to kick off with what should be a close encounter between two rivals in Narooma and Bermagui. Last year’s premiers Bermagui are in a very similar position to 2017 where the team won from third on the ladder. The Breakers possess a number of key pieces with the likes of Anthony Gannon, Will Callaghan, Tyge Matters and Lachlan Moresi. Narooma come into the contest as deserved favorites after beating Merimbula in the major semi-final two weeks ago and the team will be confident on home soil. The Lions are solid across the board with players like Tom Wilson, Ryan Simper, Lachlan Druhan, Will Tiffen, Jarra Weston and Logan Allison. 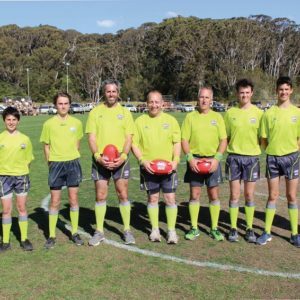 With a rematch of the 2017 grand final, this is set to be an extremely tough and contested game of football and both sides will be eager to claim bragging rights for the next twelve months. Will Narooma be able to reverse their fortunes of a year ago or will Bermagui claim 3 straight premierships in the grade? Player to Watch: Jarra Weston, Weston is the premier ruck man in the under 12’s competition finishing in the top 5 of the best and fairest. Drops back in the hole to intercept mark. Prediction: Narooma by 8 Points.